The ancient Greek myth of Halcyon is a tender story of love and commitment, show your special someone those attributes with the Halcyon Pendant. 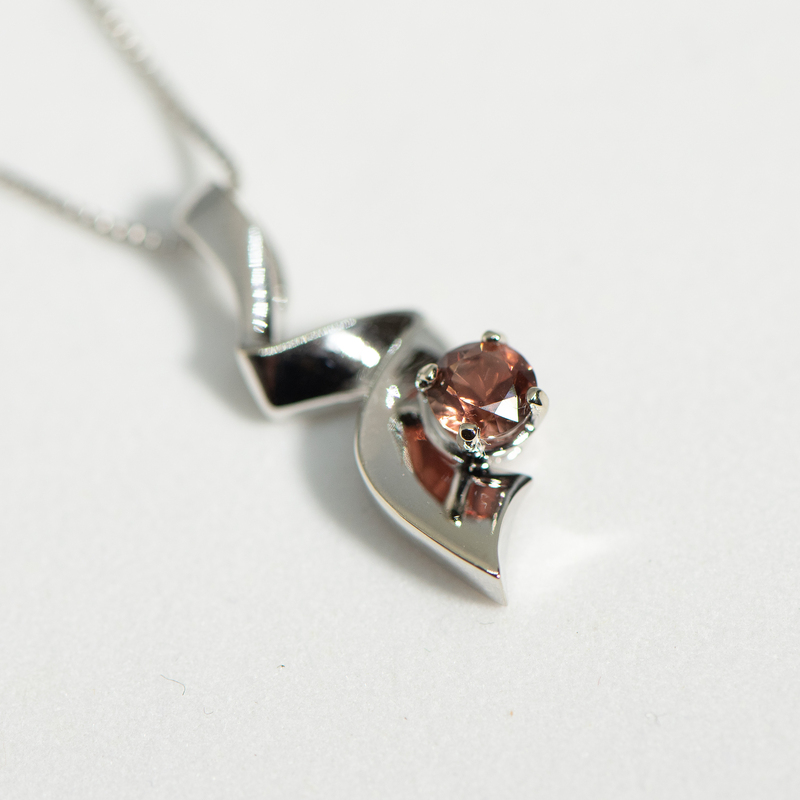 The ancient Greek myth of Halcyon is a tender story of love and commitment, show your special someone those attributes with the Halcyon Pendant. 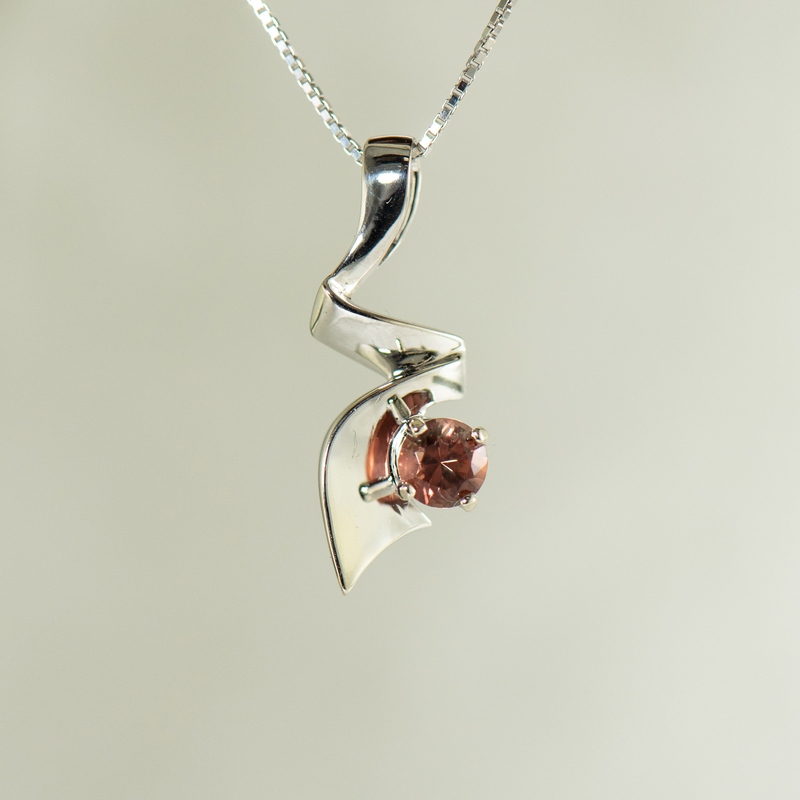 This gorgeous sweeping design 14 K White Gold Pendant highlights a 5.5 mm/ .55 ct Oregon Sunstone with options of either a pink or sunset colored Sunstone.